‘Songbird’ is a fantastic condition single-owner 2013 Dufour 40E Performance, which has been meticulously maintained and carefully sailed by her owners. During her build process ‘Songbird’ was modified in the factory with extra lamination and toughened up considerably from standard build specifications, making her an exceptionally strong and stable boat. That said, she has been used very lightly by her current owners, who have only used her for cruising, she has never been raced or chartered. 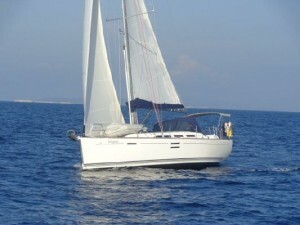 She is well equipped and ideal Med cruising, with all lines led aft to ensure easy control even when short-handed. ‘Songbird’ is currently in Malaga, Spain awaiting her new owners.